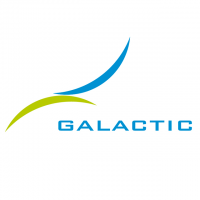 Since 1994 Galactic has become one of the world leaders in biotechnology serving the food, feed, personal & health care, and industrial markets. Based on its valuable experience in the fermentation of lactic acid and in the production of its derivatives, Galactic continuously develops sustainable, innovative and health-friendly solutions in the field of food safety, nutrition and green chemistry. With its headquarters and an Innovation Campus in Belgium, production facilities and front-labs in the United States (Milwaukee), China (Bengbu) and Europe (Escanaffles, Brussels), and additional sales offices in Belgium (Brussels), Japan (Tokyo) and Brazil (Curitiba), Galactic employs about 380 people worldwide and is active in 65 countries.